Gosh! The year has gone so fast that many of us are now scrambling to sort out a Christmas party for our friends or colleagues. Don’t fret, Hunter & Bligh has you covered! Whether your group is small or large, there’s always somewhere to go for those last minute Christmas drinks. 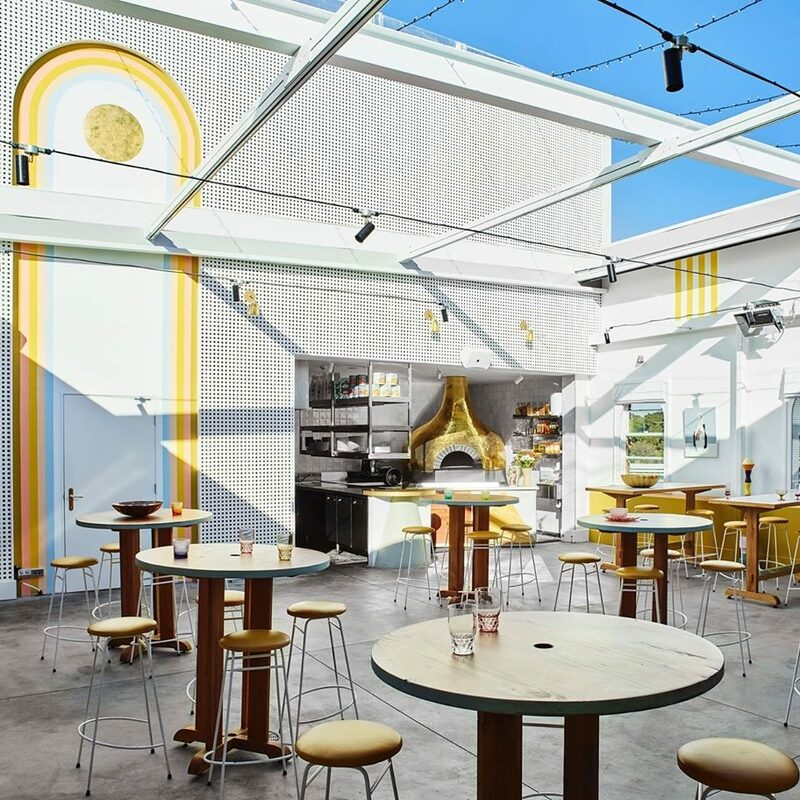 Our list scopes out Sydney’s classiest, quirkiest and most bountiful bars that are sure to have a spot for you and your posse. All these bars operate on a first-in-first-served basis, so be sure to get in early. Come on, let’s get you sorted! 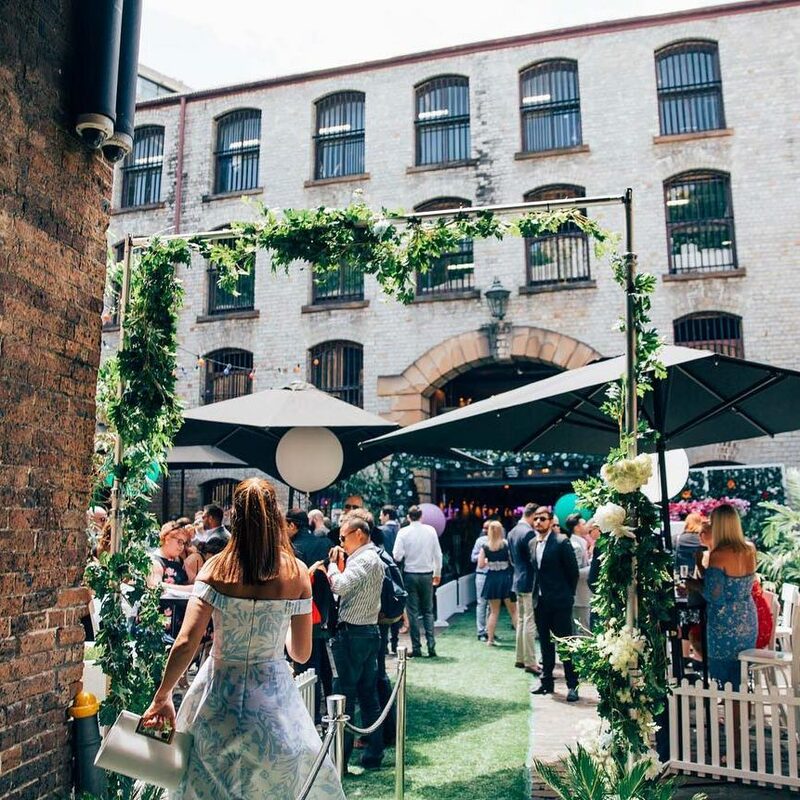 Nestled in the centre of Kensington Street in Chippendale is Gin Lane, colloquially known as G.L. and perfect for a group who love a bit of mother’s ruin. 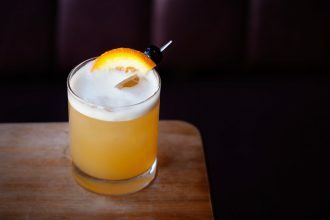 Stick to a generic G&T or let your finger browse other creations on the menu, which also includes gin-infused ice cream. GL is great for an improvised afternoon of Christmas tippling with a small group of friends. Go on Tuesday for ‘All Night Happy Hour’! 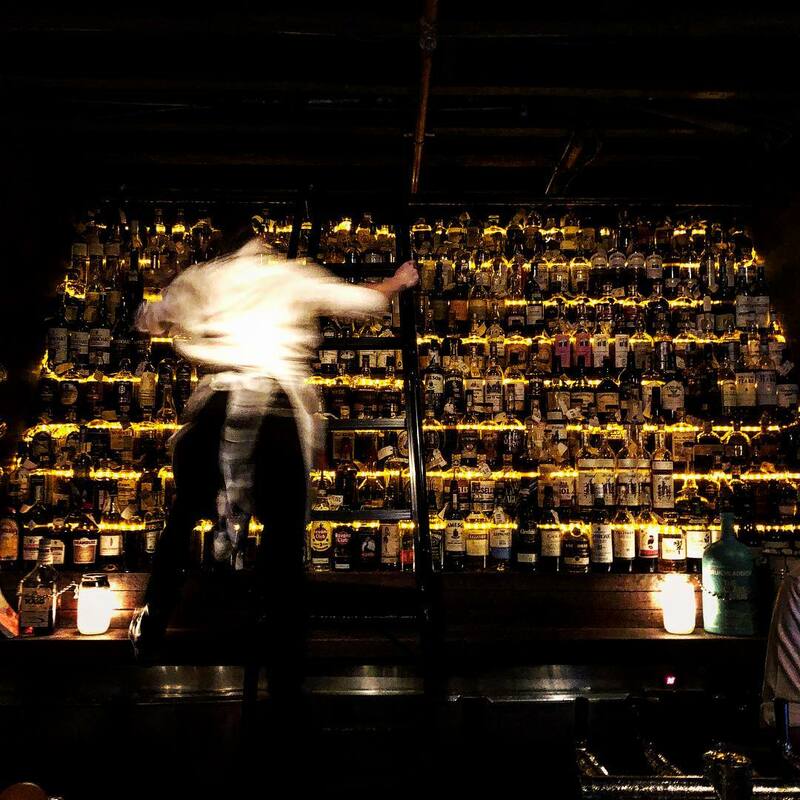 Hidden down a shrouded alleyway off Clarence Street, just down a flight of fire escape stairs, is The Baxter Inn; an 1800s-style bar featuring one of Sydney’s largest scotch whisky collections. Through the speakers hidden in the darkened ceiling come the sounds of jazz and ragtime while candles allow shadows to bounce around the noirish atmosphere. Be sure to pop in early as this place fills up quick! 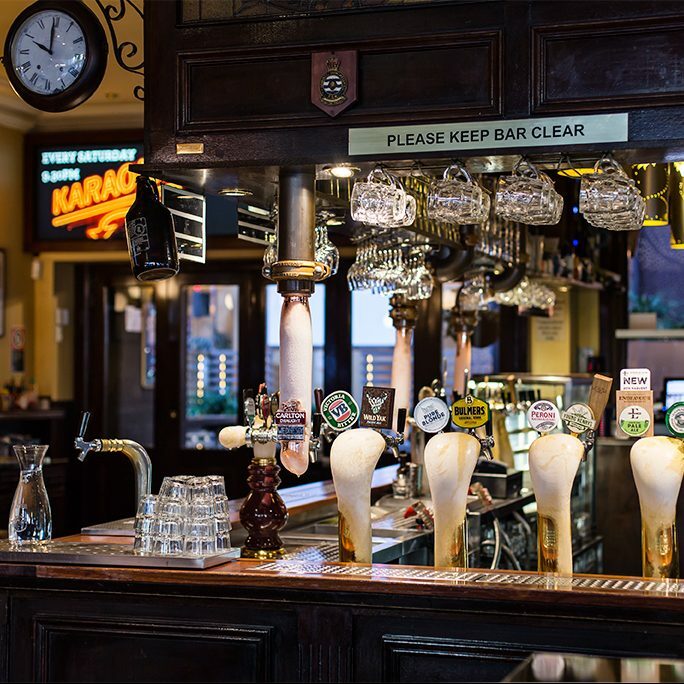 Take a train over Sydney’s Harbour Bridge and end up in North Sydney where you’ll find this largely quaint Irish pub. Rag & Famish has 150 years of tippling experience and knows a good deal about hospitality. 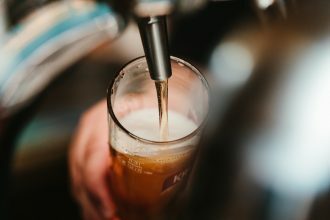 It’s great for a concoction of colleagues who prefer hoppy beverages as they serve a vast range on tap that changes seasonally. 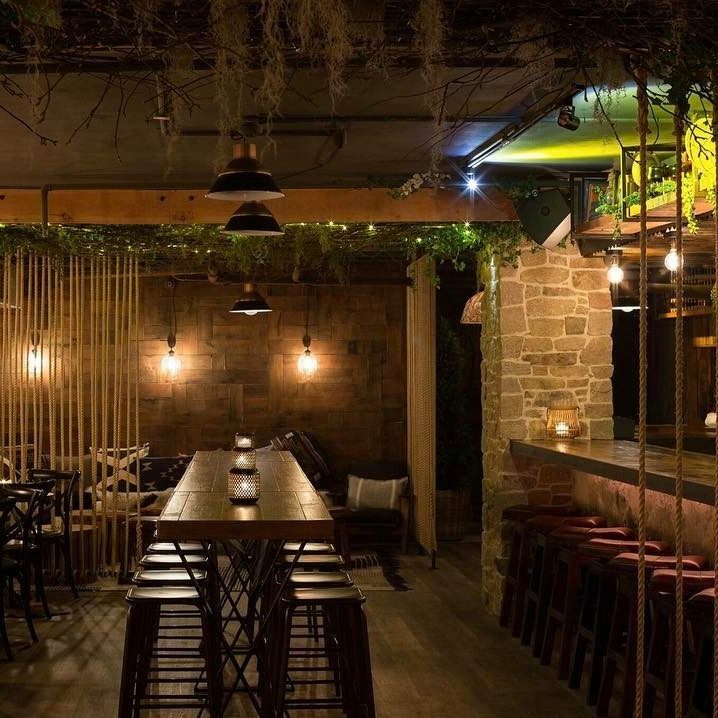 It’s also a great spot for your last-minute Christmas party as bookings aren’t necessary. Tropical paradise now comes in nightclub form, laden with roped walkways and Polynesian decor. Randomly pop into The Cliff Dive on a Friday or Saturday night for a round of drinks and a good ol’ boogie with your work colleagues or book a table in advance to make the Kris Kringle a little easier. There are a few of these scattered around Sydney, but the best spot is Darling Harbour with its pretty views of Tumbalong Park and Chinese Garden of Friendship. 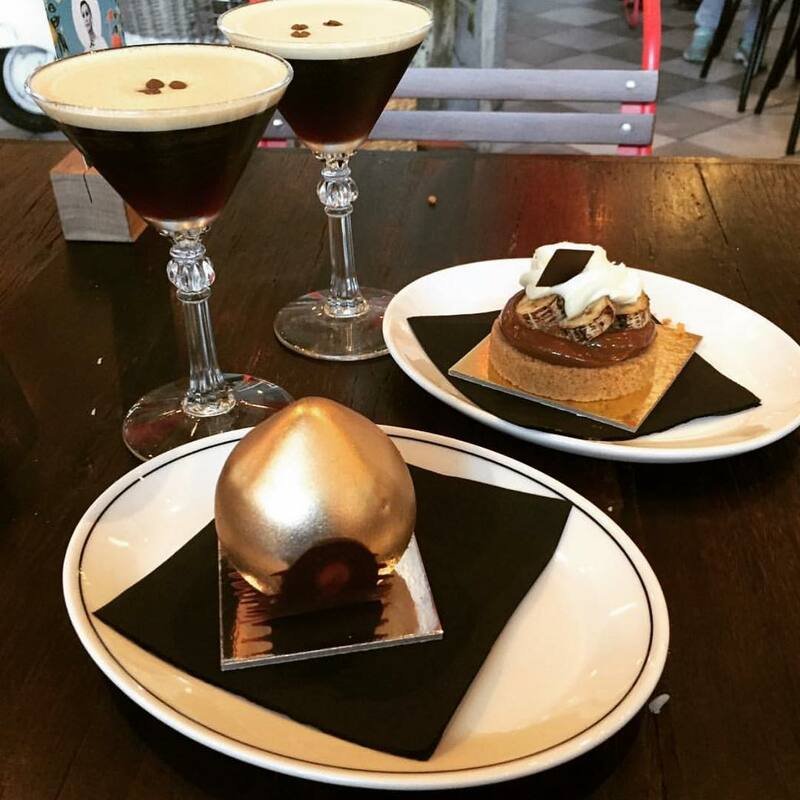 Fratelli Fresh features a dessert bar, an island bar, a Negroni bar and an open kitchen. Stop by for happy hour (4pm-6pm – where you’ll find $5 espresso martinis,negronis + spritz, plus $5 Margherita or Diavola pizzas) or book a table for a proper dinner and drinks this Christmas. Throw on your boa, babe and have a camp afternoon or evening soiree at the Imperial Hotel this Christmas season. It’s the iconic jewel of Sydney and is well known for appearing in the world-renowned film, Priscilla: Queen of the Desert. It’s also looking more fabulous than ever since its renovations earlier this year. 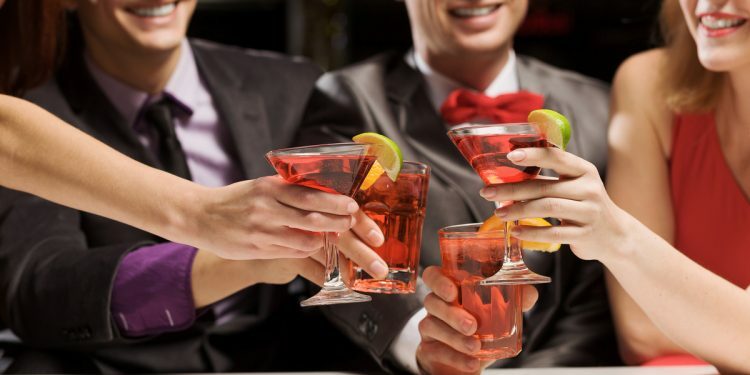 Gather up a posse of fancy workmates and enjoy a gay night out to celebrate the Christmas season. With six bars and two levels, The Argyle is a safe choice for a last minute Christmas party – especially for groups where a small bar just won’t do. Got 20 people to look after? Just head to The Argyle in the early afternoon for an afternoon of shenanigans. And if you’re looking for something more than a boogie and a drink, book a table and order a round of platters! It’s the season for sharing, after all. 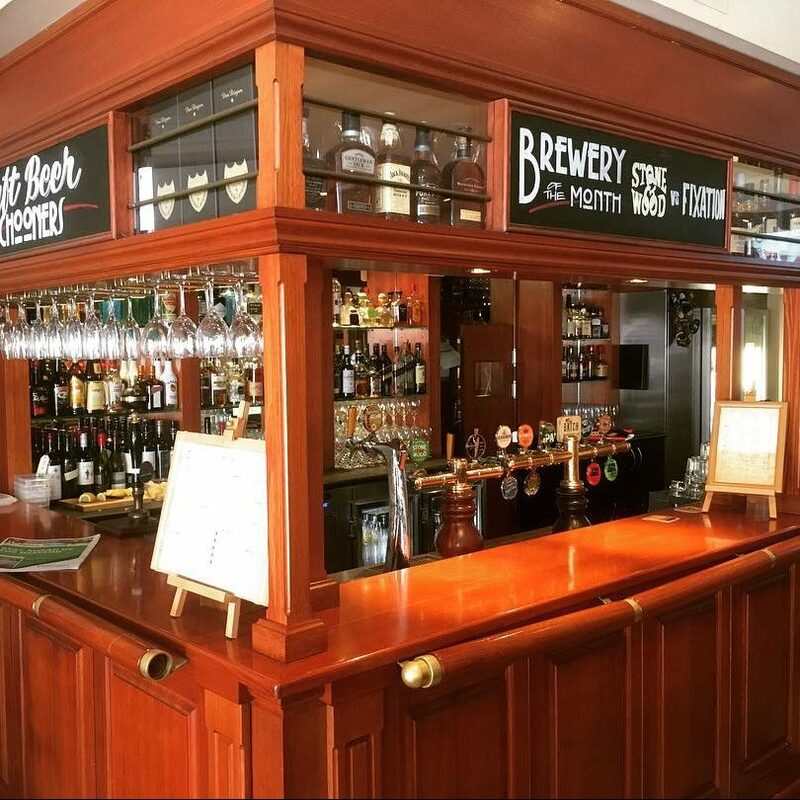 It’s a stone’s throw away from Milson’s Point station and features some great live entertainment on a Friday and Saturday night – what more could you ask for? We recommend a Friday night with Michael and Lucas as they play the best of Australian rock’n’roll and some international anthems. They’ll be playing on the 14th and 21st of December 2018. Get in quick for a seat! Walk down two flights of stairs and then stroll up to a door featuring a pineapple door knocker. You don’t have to, but it’s recommended to knock the pineapple on the door before you enter. Walk into a space teeming with class and various-sized seating arrangements. You’re welcome to make a booking for your larger group, but mostly it’s first-in-first-served. It’s huge, it’s always teeming with life and it’s the safest option on our list when it comes to larger groups looking for that ad lib evening of Christmas tippling. At The Beresford (“Bero” for the local), there’s huge beer garden to get lost in and the same can be said for the alcoholic menu.